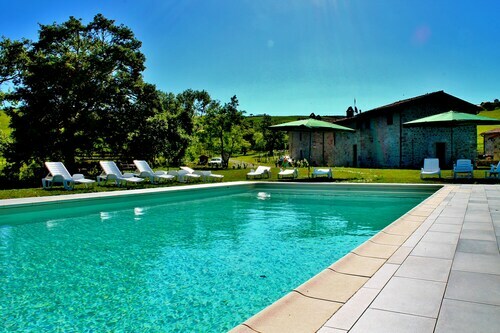 Situated in Castiglione d'Orcia, this spa hotel is 0.1 mi (0.1 km) from Baths of San Filippo and within 9 mi (15 km) of Mining Museum Park and Abbazia di San Salvatore. Rocca di Radicofani and Piazza delle Sorgenti are also within 12 mi (20 km). 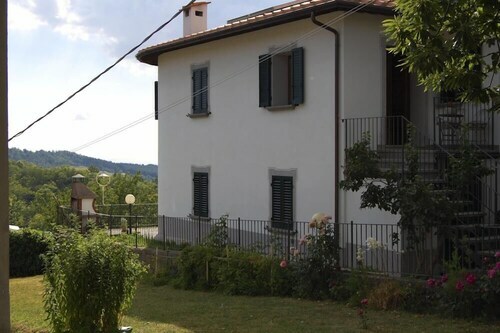 Situated in Castiglione d'Orcia, this townhouse accommodation is within 9 mi (15 km) of Baths of San Filippo, Mining Museum Park, and Fortress of Tentennano. Abbazia di San Salvatore and Val di Chiana are also within 9 mi (15 km). Set in Castiglione d'Orcia, this family-friendly property is within 9 mi (15 km) of Val di Chiana, La Foce, and Horti Leonini. Baths of San Filippo and Fortress of Tentennano are also within 9 mi (15 km). Situated in Castiglione d'Orcia, this apartment building is within 9 mi (15 km) of Mining Museum Park, Baths of San Filippo, and Abbazia di San Salvatore. Garden of Daniel Spoerri and Fortress of Tentennano are also within 9 mi (15 km). 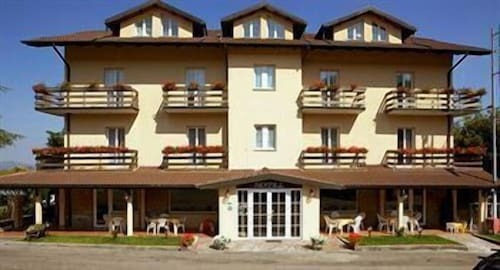 Situated in a rural location, this apartment building is 3.3 mi (5.3 km) from Rocca di Radicofani and within 12 mi (20 km) of Baths of San Filippo and Mining Museum Park. Abbazia di San Salvatore and Val di Chiana are also within 12 mi (20 km). 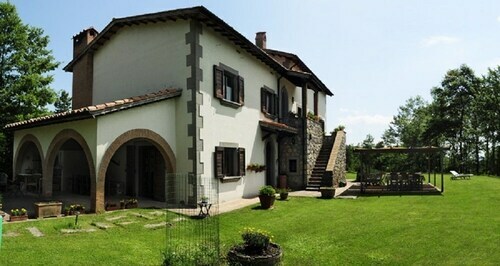 Situated in Castiglione d'Orcia, this villa is close to Baths of San Filippo. Area attractions also include Monte Amiata and Fortress of Tentennano. 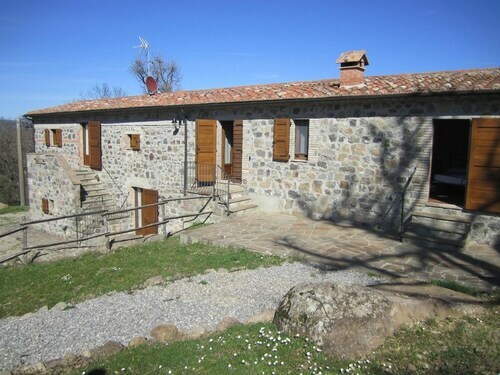 Situated in a rural location, this historic property is within 9 mi (15 km) of Baths of San Filippo, Mining Museum Park, and Abbazia di San Salvatore. Fortress of Tentennano and Val di Chiana are also within 12 mi (20 km). Searching for a room not far from Baths of San Filippo? In order to locate it, you will have to travel to Castiglione d'Orcia, 80 miles (129 kilometers) from Rome, the nation's capital. Nothing beats being able to easily walk to a great attraction straight from the comfort of your hotel. There are 25 accommodations near Baths of San Filippo that will allow you to experience this simple pleasure. If you don't need to be nearby, Montepulciano acts as a popular base for a lot of travelers. Only 11 miles (18 kilometers) away, you'll be able to find 3 possible options to inquire about. Why not start by browsing the Il Tosco, Palazzo Carletti and Etruria Resort & Natural Spa? If you're after a budget-friendly solution, look no further than the Agriturismo Podere San Giorgio, just 0.9 miles (1.4 kilometers) away. Is that your belly starting to rumble? 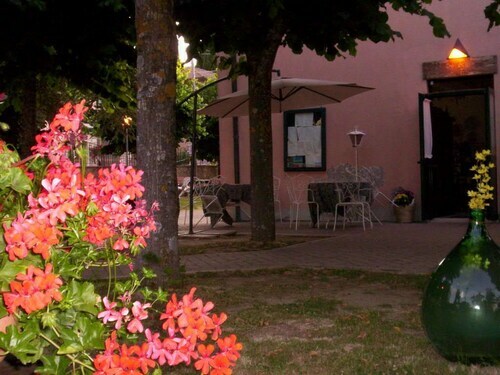 Head over to Baños De Sanfilippo (Via San Filippo, 14, Bagni San Filippo) and treat yourself to a meal. To wash down your meal, head over to Lo Spugnone (Via delle Terme, 4, Castiglione d'Orcia) for a tasty cold beer, or even something with a bit more bite. Go and see the steaming waters that are the hot baths of Fosso Bianco. Get a glimpse into a more secluded way of life at Abbazia di San Salvatore, a monastery in the local area. Explore a time long past with an excursion to Mining Museum Park, a fascinating historic mine. Every visitor will hear about Pinzi Pinzuti at one point or another. It's a popular store. Travelers and locals alike always admire the historic Rocca di Radicofani. Participate in a tour to take a closer look. How Much is a Hotel Room in Baths of San Filippo? Hotels in Baths of San Filippo start at $63 per night. Prices and availability subject to change. Additional terms may apply.